We travel via Port Wakefield where we stop for morning tea along the way. On arrival in Post Augusta we stop for a lunch break before continuing to Whyalla. Tonight, enjoy dinner in the motel restaurant. After a cooked breakfast, we tour to Iron Knob where the first iron ore deposit was discovered and the town grew up between the two “sister” quarries. Iron Knob has supplied Whyalla for ore to supply its steel and shipbuilding for many years. After morning tea, we depart Iron Knob and travel in a westerly direction along an old dirt road through sheep station country passing to Mt Ive Station. After a picnic lunch, here we take the station track to visit Lake Gairdner. This incredible salt lake is so large, it is visible from space! We travel down through old Buckleboo and take the Stringer Highway, another dirt track, to re-join the Eyre Highway. We continue West through Kyancutta and arrive into Wudinna, the gateway to the Gawler Ranges. Dinner tonight will be in the Motel restaurant. After breakfast, we continue our tour travelling through the Gawler Ranges on our way to Ceduna on the South Australian coastline. The Gawler Ranges are virtually untouched since the beginning of time and one rarely visited by tourists due to the lack of accommodation and other facilities in the unspoilt wilderness. However hidden in the ranges are amazing rock formations filled with colour. Stunning boulders of granite towering above plains often filled with colourful vegetation and seasonal wildflowers. Rare yellow footed rock wallabies can be seen hopping around enjoying their natural environment during our journey. We stop for morning tea and later in the day a picnic lunch. We pass the ruins of buildings long abandoned due to the harsh times in years gone by. Today, we set off from Ceduna and travel west via the Great Eyre Highway passing through Penong & the Nundroo Roadhouse to Yalata. We continue to the Nullabor Hotel for lunch before travelling back to the Head of the Great Australian Bight. Here, we enjoy the amazing spectacle and beautiful sights when up to 60 magnificent whales who have gathered here to breed from the Antarctic to enjoy the warmer waters. A special viewing platform allows us to get an up-close view of the whales as they frolic in the waters below. Travel back to Ceduna for dinner. Today we set off West along the Eyre Highway towards the Nullarbor National Park Reserve. We travel via Penong and onto Bookabie to the little fishing village of Fowlers Bay. On arrival, we board an interesting cruise on the Bay. There are normally great opportunities to spot many of the whales playing in the ocean. On our return to shore we enjoy lunch by the sea at the Folwers Bay Caravan Park. After lunch, we tour back to Ceduna for dinner and overnight stay. This morning we travel along the Flinders highway following the coastline to Smoky Bay and onto Streaky Bay, a town renowned for its stunning coastal scenery, fantastic local seafood and all the beach activities. After refreshments, we continue to Coffin Bay, a picturesque town on the shores of a beautiful estuary suited 50km from Port Lincoln. On our arrival, we visit Coffin Bay Oyster Farm recognised as a producer of the finest oysters on the planet. The Oysters are grown in SA’s pristine waters and are shipped all over the world. During our tour you will don your water proofs and way out into the shallow waters to sit on special constructed tables where you will enjoy a display of the oyster farming process and learn how to shuck fresh oysters taken straight up from the sea bed. Enjoy an opportunity to sample the famous oysters with a glass of sparkling wine. Indulge in lunch at the farm café before returning to Port Lincoln. Port Lincoln is well known for a variety of reasons, including Tuna fishing and breeding, Great White Sharks and the Australian Sea Lions. 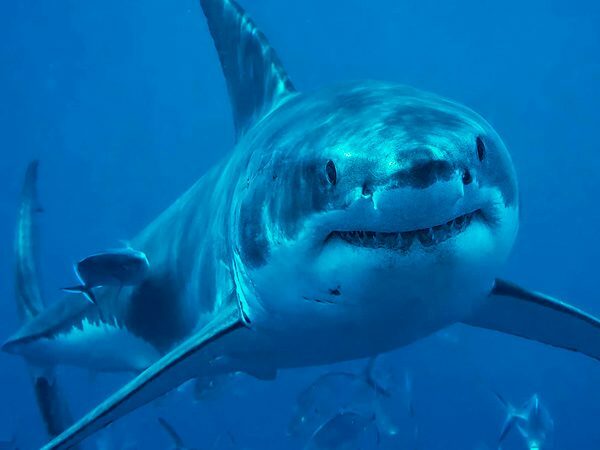 Today, join a world-famous exciting Shark Cage Diving Cruise, a highlight of any visit to Port Lincoln. Start your day with a 6am transfer & a 3 hour cruise to the Neptune Island Group. Enjoy hot breakfast onboard, with meals & snacks provided throughout the day. Calypso Star Charters are recognised as one of Australia’s leading shark cage diving operators and are tourism & environmental award winners. As part of your cruise, you’ll enjoy close up views of these magnificent creatures in their natural environment. Sail back to Port Lincoln later today and be transferred to your accommodation. Dinner tonight is at your own expense due to variations on your return time to Port Lincoln. For the more adventurous, you may choose to be lowered just below the water line in a special viewing cage which allows you to safely interact with the sharks. Special diving equipment will be provided. Travellers who choose to dive will need to pay a fee of AU$100, payable onboard the ship on the day. After breakfast, we depart Port Lincoln to Adelaide via Koppio. At Koppio we visit one of Australia’s most fascinating museums. The museum features very early Aboriginal Artwork also the Glenleigh lovely Thatched Cottage built in 1890 and the original Koppio one teacher school house. Other magnificent memorabilia include vintage farm machinery, vehicles and even a WW1 army tank! We continue to Port Augusta for a lunch stop before travelling to Adelaide, arriving at 6pm.